Paul Krugman, a Kenysian economist touting authoritarianism and control over the economy has come out and told us all what we already know: the ruling class won’t be able to stop the recession they have engineered. And that recession is coming soon. 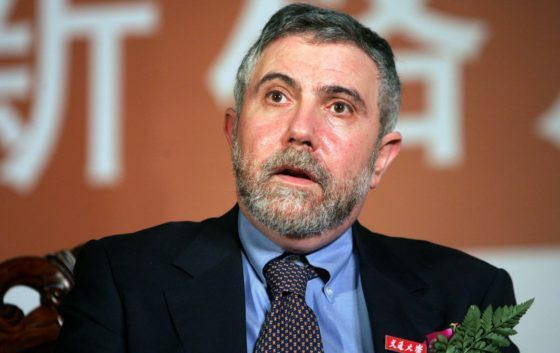 Krugman is expecting the economy to fall into recession this year, according to a report by CNBC. He isn’t the only one expressing concerns, however, as most economists, as well as some the world’s business personnel, agree that economic growth is slowing. But this time, Krugman says that the ruling class won’t be able to do anything about the recession. Speaking at the World Government Summit in Dubai, United Arab Emirates (a meeting of the rulers to decide how to further enslave the world’s population) on Sunday, Krugman expressed his concerns about an economy highly regulated by the world’s governments (and yet somehow is still mistaken for capitalism). “I think that there is a quite good chance that we will have a recession late this year (or) next year,” he said. Krugman’s main concern has always been that “we [the ruling class] don’t have an effective response if stuff slows down. The place that looks really close to recession right now is the euro area,” he added. “By the way, my track record for this is bad — as is everybody’s. No one is good at calling these turning points,” Krugman said. Late last week, the European Commission sharply downgraded its forecast for euro zone economic growth in 2019 and 2020. The Commission said eurozone growth will slow to 1.3 percent this year from 1.9 percent in 2018 and is expected to rebound in 2020 to 1.6 percent. This would be a great time to take matters into your own hands and start preparing for a recession. Start taking responsibility for yourself and your family and remove dependence on the government if you are in any aspect. Consider storing some extra food and water and paying off or down all of your debts. The economy is currently on life support and anyone who knows anything about bubbles understands that the everything bubble we are in will eventually burst, taking many people down with it. Try not to be one of those who could lose it all by preparing for the worst. 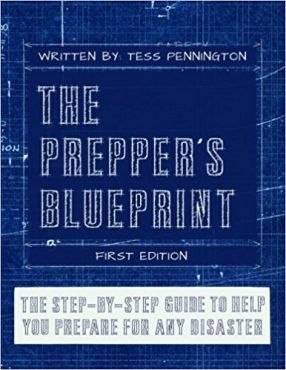 Read the Prepper’s Blueprint if you haven’t already and don’t know where to begin. Prepping for hard times is often difficult to begin, but it will get easier as you learn how. When Keneysians are admitting that they themselves, the masters, won’t be able to help the slaves during the next recession, it might be wise to begin to think outside the box and on your own for once. Of course, it isn’t just the authoritarians that are suggesting the government will be powerless during the next recession. The only good that could come out of that is that people may realize they should stop putting the control of their lives in the hands of sociopaths, otherwise known as politicians. Peter Schiff said that during the next economic downturn, the American standard of living will decrease incredibly. But that’s not even the worst news. Because of all of the problems being underscored by so many (like the talking heads in the media), the collapse of the dollar and the American standard of living that will follow aren’t even a glaring and immediate concern for most and even fewer are prepared for a financial emergency. But the bubble is bursting, according to Schiff, and the market will go so much lower and so will our standard of living.